So the day dawns bright and fair once more (hey, hadn’t I promised not to start with a good weather report every time?) and we decide that, as we were so enamoured of Cora’s breakfast in Kamloops yesterday (wow, was that only yesterday? it already seems days ago) that’s we’d check out one of the Vancouver franchises of the same company. The nearest restaurant turns out to be a couple of miles away further along Robson Street, which conveniently is the same street as our hotel. Hey, this can’t be hard to find can it? So hop in to the car, fire up the GPS to keep us pointed the right way and head down Robson in the right direction (a decision with which GPS entirely agrees). Oh wait, not only is there the deadly Vancouver traffic to fight through, plus the block-by-block one-way system, there’s also a pedestrianised section right in the middle of Robson street; this is not so simple after all. Looking at google maps online later, it knows all about this pedestrian stuff, but seemingly the dedicated Garmin GPS (you have ONE job!) is oblivious to it all and wants to go down the verboten sections. Much swearing results, but eventually we find the place. We’re not even two miles from where we started and I am already frazzled this morning. We order the same breakfast as the day before (boring) but somehow this one isn’t as nice, which is a shame. 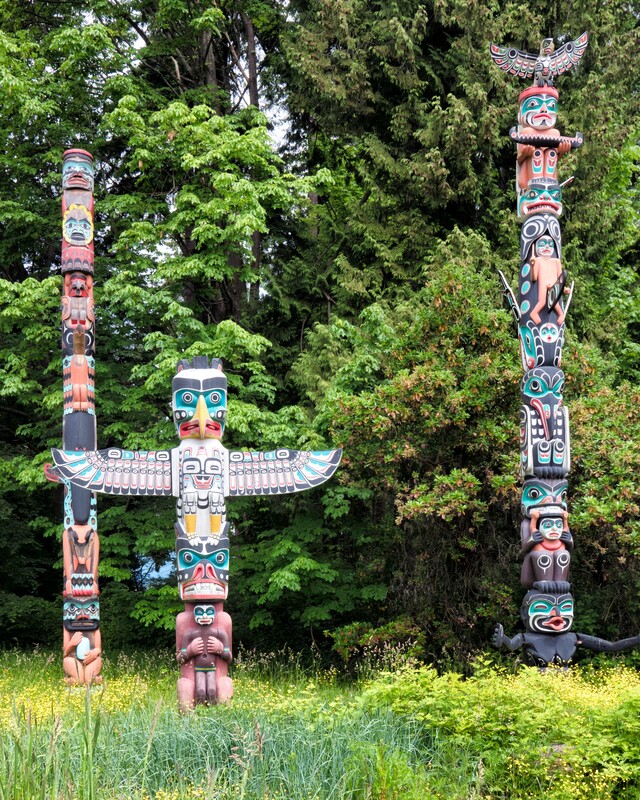 The next point of interest is a visit to the VanDusen Botanical Gardens, about 20 minutes drive away. Luckily the traffic has calmed down a great deal by this stage and it’s a lot quieter once we get out in the ‘burbs, so the trip isn’t quite as arghhh as the previous one was. 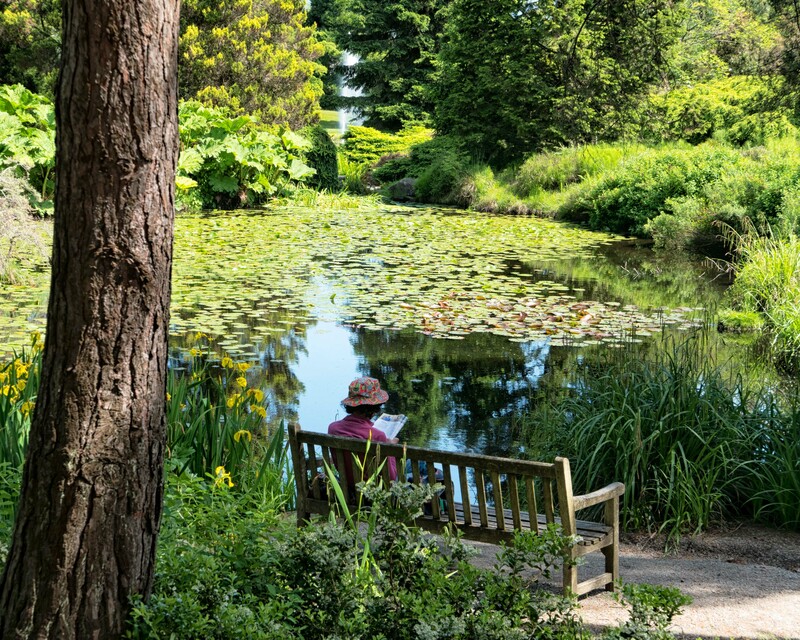 We haven’t ever visited VanDusen Gardens before, as for some reason it wasn’t on the itinerary 30 years ago, and that’s surprising because it’s a nice place to visit. 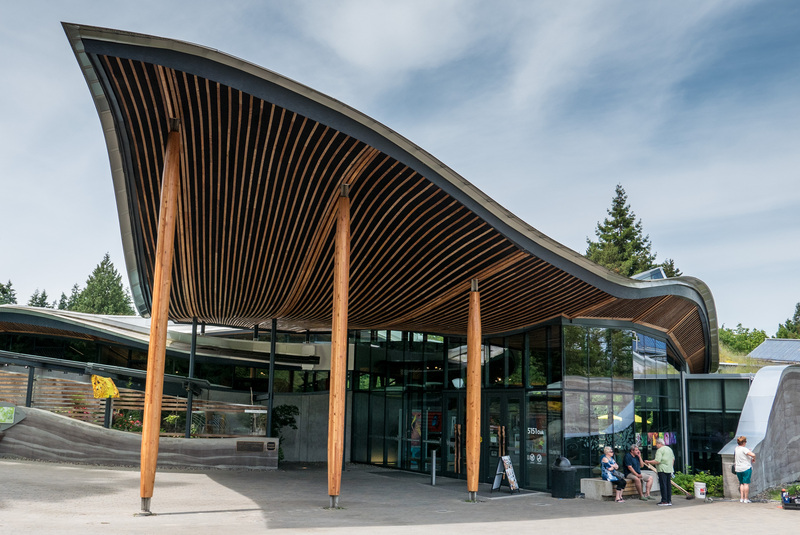 You’re welcomed by a swooping visitor centre that is apparently designed to meet the Living Building Challenge – a series of strict sustainability requirements. 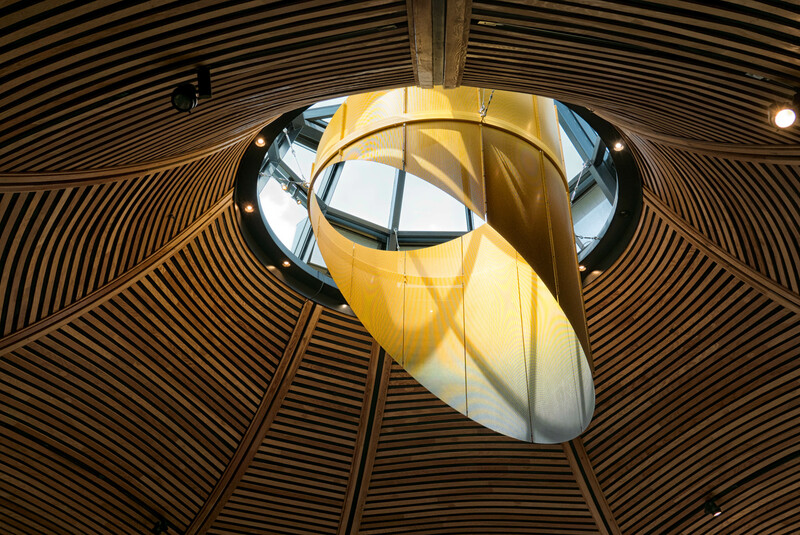 It’s form (as seen from above) is of a series of undulating green roof petals. It really is striking. The gardens themselves are lovely, though we’re still very early in the season for British Columbia, so not much has developed. There is the usual muttering from one of us about lack of labels. There was a lot of stuff to see and very many ways of walking through. The gardens are arranged by collections, so there were areas of one species, such as roses or maples, whilst other areas were geographically organised. All-in-all it was a really good morning and well worth a visit. After wandering round for a good couple of hours we decide it’s time for a spot of lunch. The visitor centre cafe is the venue of choice. It seems to be a bit haphazardly run, not really very efficient at either running the serving counter or keeping the tables free of clutter. There’s a fair bit of grumbling from other (presumably Canadian) visitors, so we’re not the only ones to notice. Still, the lunch is nice enough. Leaving the gardens, we decide to head to Stanley Park, a favourite with locals and somewhere we spent a fair bit of time when we last visited. It’s a bit of a drive through the city to get there, but luckily there wasn’t much drama involved. The park was exactly as we remembered it, though very, very busy – car parking was at a premium and we were lucky to get a couple of spots. Coaches were arriving and departing all the time, so it was very much on the tourist trail. We spent the rest of the afternoon here, mostly people watching, but also visiting some of the sights and taking the park loop with the car. It was nice. For our final tea in Vancouver we headed back out in the direction of Stanley Park and into the White Spot restaurant on West Georgia Street. Now in this day of the internets, I know that the White Spot is actually a pretty run-of-the-mill chain of restaurants, with several in the Vancouver area alone. However, back in the late 80’s, when Wimpy Bars and Little Chef’s were the level of dining we Brits got at home, this place seemed a real find. Even more so because at that age I was quite happy to exist on a holiday diet of pancakes (breakfast) and cheeseburgers (every other meal). So really we went for old time’s sake. It was pretty so-so. The decor was tired and the area run down and the food only average, but it did bring back a few memories. 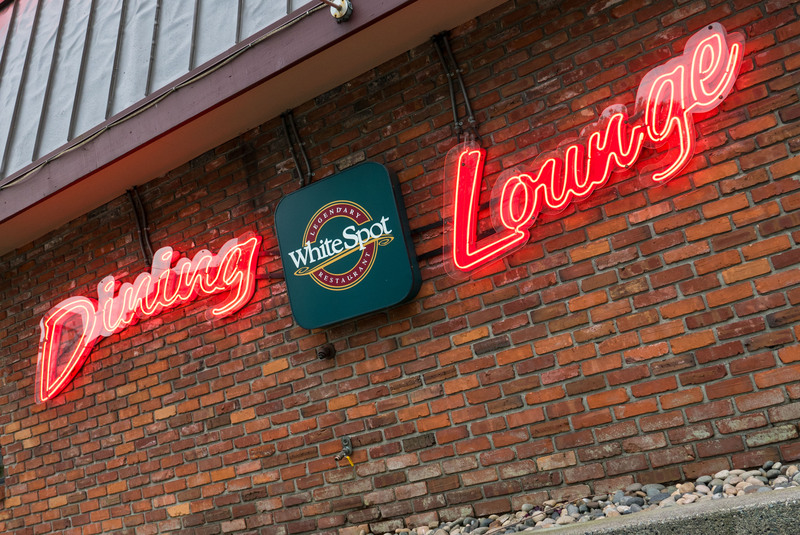 We tried reminiscing with our waiter, but that didn’t go too well as he was about 3 years old when we were last here. At least he was born! The White Spot restaurant on West Georgia Street.